To demonstrate how Sony products enable amazing experiences, WIRED developed a series of video shorts on how technology has impacted the lives of some of today’s emerging and established thought-leaders. Digital: Custom video shorts were housed within an expandable ad unit on WIRED.com. 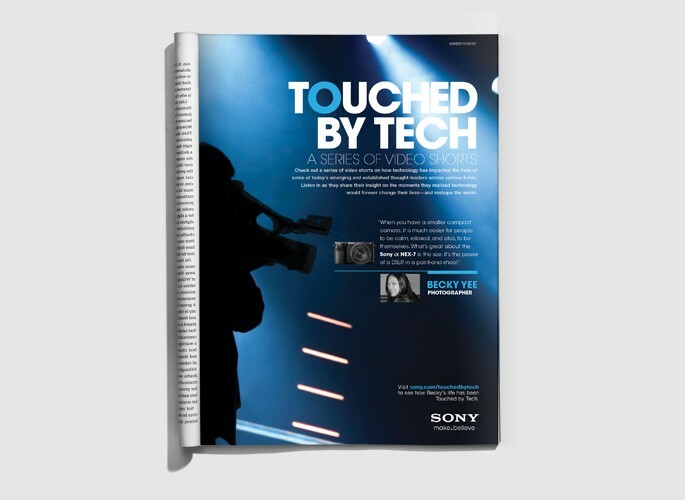 Videos showcased talent interacting with Sony products, while detailing the moment they were “Touched By Tech.” Each video highlighted how the Sony product featured contributed to that “ah-ha” moment. 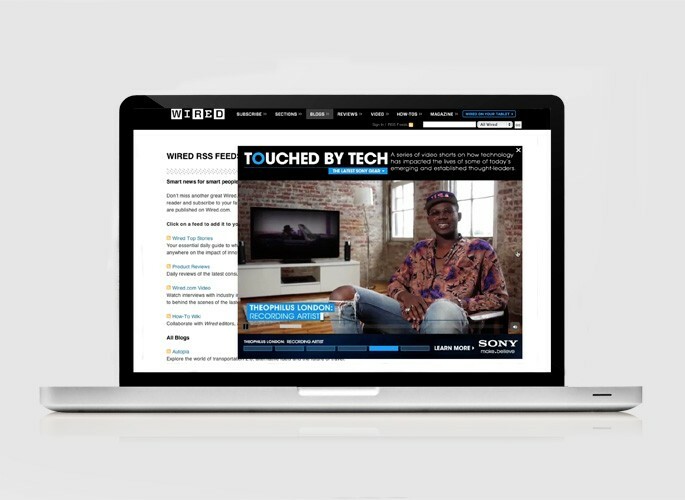 Videos also lived on a custom landing page that Sony developed. Print: Print was used as a promotional medium to excite readers about the program. Custom inserts supported upcoming content. Social: WIRED utilized select WIRED Insiders to promote the program with custom tweets and Facebook posts. Tablet: Custom inserts were showcased within the WIRED App on the tablet including links to Sony’s “Touched By Tech” landing page.